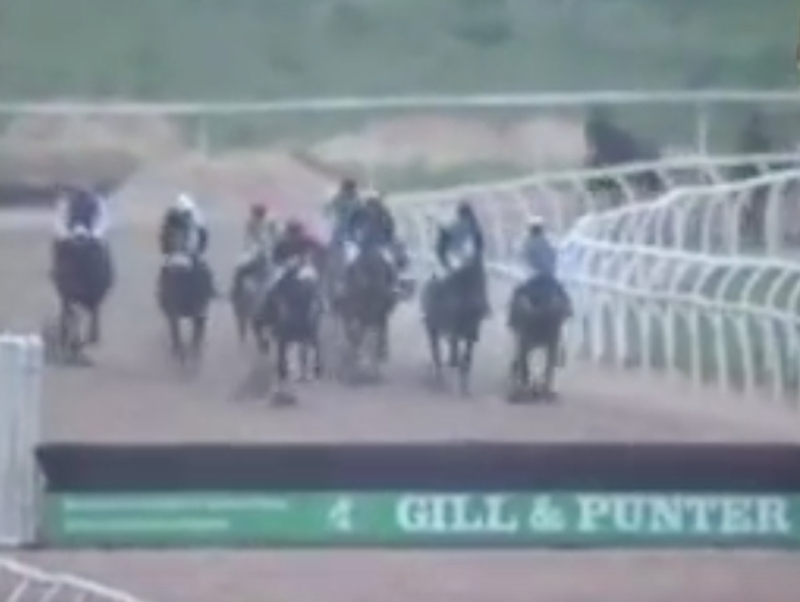 The weird and wonderful sport we all know and love in horse racing always manages to throw new things out of the woodwork but we are going back to 1993 when there used to be a race at Southwell on the Fibresand but not what you think. All weather races are known for being flat only and there has never really been a question as to why there has never been jumps racing on the surface but there actually has been. in 1993 in the Palacegate Racing Selling Hurdle in which an American horse called Suluk that was only bought for 5,000 gns went on to take the race. Nothing like this has ever been seen in the sport since making it a very strange occasion that we can't quite seem to get our heads round. The obvious thoughts are for the safety of the horses and the jockeys when they fall as although the sand on the top will cushion the blow underneath that it is rock solid and will be harder than falling on Grass. It is something that has never really caught on and not surprisingly doesn't like it will be back in the near future, but it is good to see what a hurdles race on the all weather actually looks like. Check it out below and see what you think of it. Would it be something you would like to see more often? Or is the all weather solely for flat horses?